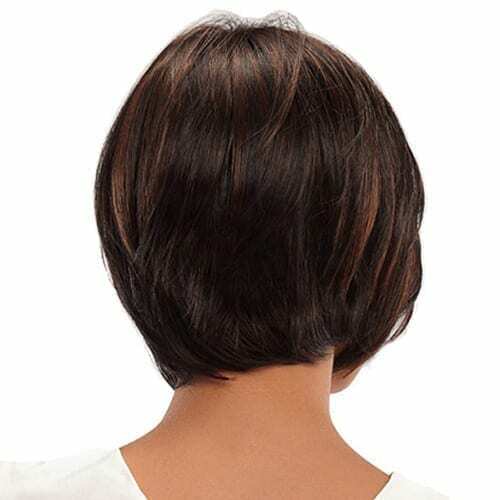 Nita by Jon Renau is a classic bob with a lace front hairline and a gorgeous silhouette. This stunning wig includes wispy layers throughout that allow for ultimate movement and style. Cap Size: AverageType: WigCollection: SmartLace by Jon RenauApprox. Length: Bang 9.5″ • Crown 8.5″ • Nape 3″ • Sides 6.25″Product Weight: 2.80 ouncesSPECIAL FEATURES• SmartLace – Ready-to-wear lace front hairline seamlessly contours to the shape of your head and creates a low density, natural looking hairline and allows you to style your hair away from your face. No tape or glue needed!• Capless – The open wefted construction is lightweight and well ventilated for a cool, comfortable fit. 50% lighter than your average wig.